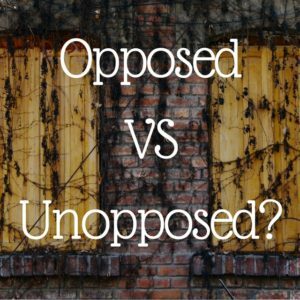 “Is your program opposed or unopposed?” It’s the second question I asked of each program at last year’s AAFP conference, but it’s not the right one to ask. First, let’s define about what I’m talking about. Unopposed – Means that at the primary educational facility (hospital) there is only a single residency program. Opposed – There are other residency programs at the primary facility, from one other to twenty others. Collaborative – A term some residencies are using to describe their opposed, but positive, culture. It’s not about how many residents there are in the building, or what type. How much exposure will you get to intriguing cases? How will you be treated by attendings? Will you have to fight for your deliveries and procedures? Will ancillary staff (nurses, MAs, respiratory techs, pharmacists) treat you differently than other residents? This about the culture of the hospital. I interviewed at both types of programs, and sure, at an unopposed program you are only competing with your fellow FM residents. Yet the majority of the opposed programs are just as awesome. Ancillary staff tend to like FM more, because we actually listen. Having other residencies in-house exposes you to other mind-sets and further broadens your education. There is a risk that other programs will ‘steal’ your procedures. ASK the RESIDENTS if they have to fight for deliveries, if off-service residents steal their intubations, etc. That said, if you cannot stand up for yourself enough to say “Hey, I want to take this delivery” then unopposed may be best for you. Or, it may be an opportunity to learn to be a tad more aggressive. Do off-service attendings treat all residents equally? Ask the residents, they’ll tell you true. Do residents from different programs hang out? Does FM get to rotate with other residencies on rotations? I did cardiology with a senior FM from the main campus and an EM intern. I did EM at our hospital surrounded by the program’s EM residents, as well as other FM and IM residents. Both rotations were awesome, and I think it’s always a benefit to mix it up. IM and EM think differently, and we have a ton of stuff to teach each other. How to Tell if an Opposed Program is Lame? There are some hospitals that are not FM friendly, despite the presence of a residency. You will quickly realize that such a place is not your cup of tea, and endure the interview day because it would be rude to do otherwise. I interviewed at a hospital famous for a highly specialized internal medicine service, that also has a well respected surgery department. It became clear during the interview that FM was truly the unloved middle child for that hospital, and it was solidified after talking with residents at the dinner that evening. They had a distinct air of defeat in discussion of options for electives, getting procedures and clinic quality. Finally, they really push their FM residents to go into fellowships, essentially expecting interns to select a fellowship goal and start working on research to get them into it. It was mentioned by every interviewer and resident. If fellowship is your goal, such a program might benefit you, but it was not my cuppa tea. It’s not the un/opposed status that matters. It’s the quality of the program and the facility, it’s whether or not FM residents are treated as part of the team on every rotation, or treated like a med student. Go to your interview, talk to people, get a feel for the place. An opposed, yet collaborative program is a great place to be, and has benefits as much as unopposed residencies do. At the end of interview season you are likely to have a mix of opposed and unopposed on your rank list, and that’s totally okay.